Located at the southern end of the scenic Round Valley, the historical Hop and Barley Ranch (pictured above) features fertile farm land on the valley floor, beautiful lush forests and meadows in a mountain-like setting, with rolling grasslands and a mile-and-a-half river frontage. At 6,420± acres, this legacy ranch is teaming with an array of wildlife, from trophy blacktail deer, Tule elk, and cougars to pigs, bears, quail, turkey and dove. Well-rounded improvements complement the ranch built of redwood siding with corrugated metal roofing for the classic rustic ranch look, reminiscent of a John Wayne movie. A ranch of this size and diversity is a rare find and only a four-hour drive from the greater San Francisco Bay Area. Available for $14 million, this property is listed with The Chickering Company. For more information, contact Terry Hundemer at (503) 265-5774 or at ranches@chickeringco.com. 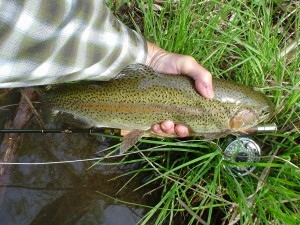 Located near the Fall River Valley in California, Spring Creek Ranch is one of America’s finest trophy trout ranches. 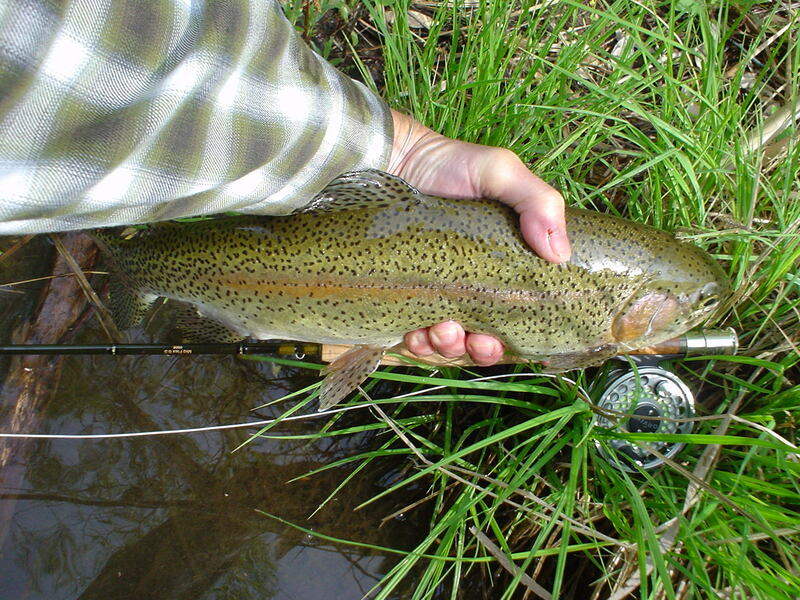 At 1,346± acres, this ranch is one of the best fly-fishing ranches with private fishing water on the headwaters of the most prolific spring creek wild rainbow trout fishery in the country, with the average catch in the 3-6 pound range. 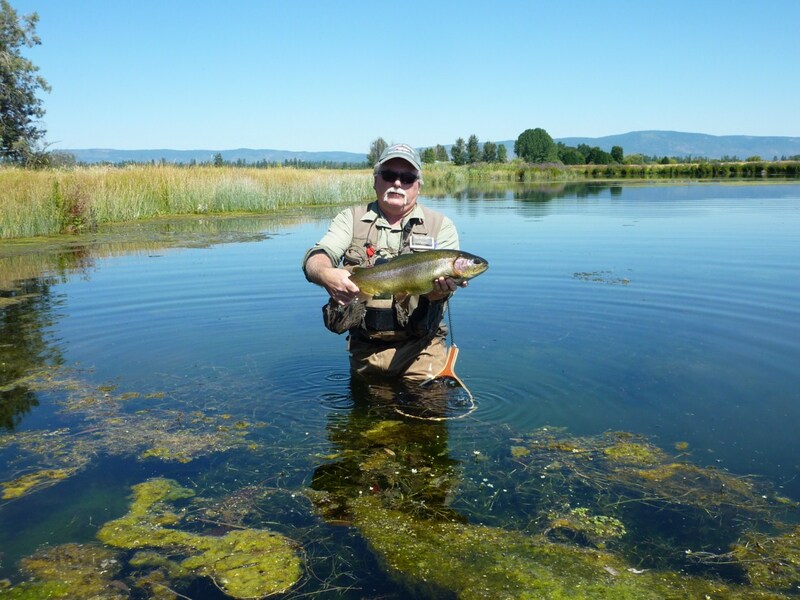 This ranch also fronts a second spring creek, Lava Creek, as well as frontage on the world renowned Fall River and is home to abundant migratory waterfowl including ducks, geese, pelicans, egrets, herons and swans. Spring Creek Ranch is a true wildlife refuge in a beautiful mountain area featuring stunning views of Mount Shasta to the north. This property is listed for $12 million. For more information, contact Terry Hundemer at (503) 265-5774 or at ranches@chickeringco.com. The Oasis Springs Lodge and the Rocky Springs Ranch, collectively known as the South Battle Creek Ranches, are a quintessential sportsman’s paradise. Situated near the small foothill community of Payne Creek, the Oasis Springs Lodge overlooks a private crystal clear trophy-trout stream on the lower flanks of Mount Lassen. 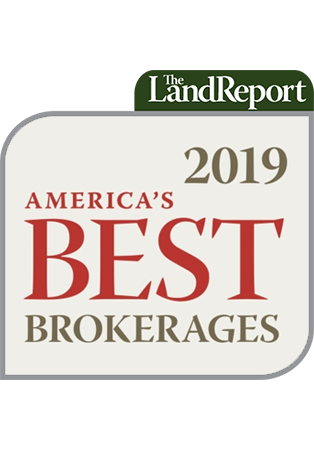 Encompassing over 1,100 acres of range-land and meadows interspersed with blue oak woodlands, this ranch is punctuated by fresh water springs, ferns, alders and willows along the South Fork of Battle Creek. A true fly-fisherman’s oasis, the Oasis Springs Lodge boasts some of the most productive fly-fishing streams in California. Surrounded by some of the richest wildlife habitat in the Western states, it’s common to observe one of the state’s largest migratory deer herds traveling through the area. Other wildlife includes bears, mountain lions, eagles, hawks, quail, dove and wild turkey. Located in the Mount Lassen foothills of northern California, Rocky Springs Ranch features world-class deer, dove and quail hunting, plus amazing trout fishing. With nearly 3,000 acres of rolling meadows and blue oak woodlands, this ranch is home to one of the largest migratory deer herds in the state and also provides prime habitat for dove, quail, and wild turkey. 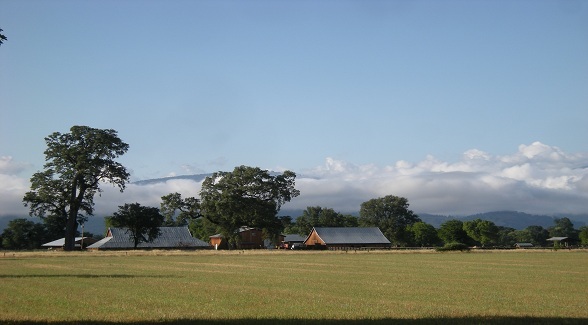 Panoramic views of Mount Lassen to the east and the adjoining ranches and the Sacramento River Valley below can be enjoyed from most areas of the ranch. Totaling 4,137± acres, these two ranches can be purchased together for $9.39 million (The ranches are each owned by separate entities and are also available separately for $4.895 million and $4.495 million, respectively). Contact Terry Hundemer with The Chickering Company at (503) 265-5774 or at ranches@chickeringco.com for more information.